Our managers and staff strive to make your vacation a memorable experience. For eight weeks in July and August, stay with us on our island on Great Pond, one of the beautiful freshwater Belgrade Lakes. Great Pond was the summer home for screenwriter Ernest Thompson and was his inspiration for “On Golden Pond.” Taconnet captures the essence of a perfectly relaxing Maine vacation, even the daily mail boat and the beautiful call of the loons. Guests are welcome to arrive any time on Saturday after 3:00 pm. Staff will greet you on the mainland and ferry you to the island. Your belongings will be delivered directly to your cabin. Still a tradition, wake up time and meals are announced by a Taconnet staff member running around the island with an antique wooden clacker. Children often gather to chase after the runner. In keeping with our rustic setting, Taconnet provides an old-fashioned, relaxing atmosphere. Cottages have games, books and other diversions, but no televisions or telephones. To maintain the family-friendly ambience, we do not allow alcoholic beverages or smoking in the Main Lodge. Cell phone service may vary; there is limited WiFi and a land-line located near the lodge. 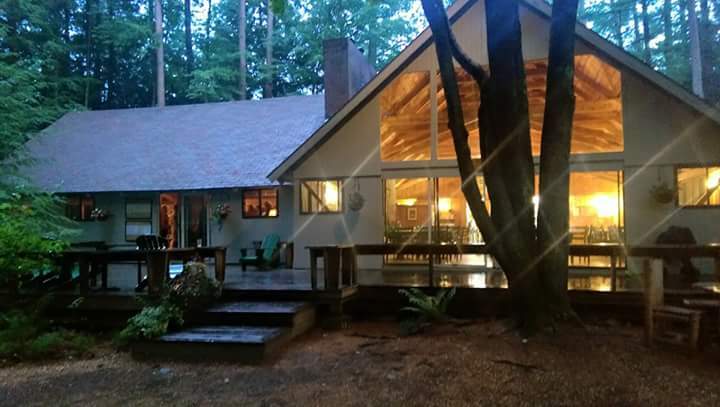 Ultimately, Taconnet is the perfect place to disconnect from your screens and connect with family, friends and the natural surroundings. We have both a motorized and a hand-crank ferry. Weather permitting, the ferry runs on call between 7:30 a.m. and 9:00pm, and otherwise by special arrangement. Simply ring the bell for ferry service. Check out time is Saturday at 10:00 a.m., and settlement of your account should be made in our office before that time. Sorry, but we do not accept credit cards. A scheduled pick-up of your bags will be arranged on Friday evening. Following breakfast on Saturday, a make-your-own brown bag lunch buffet is available for all guests. 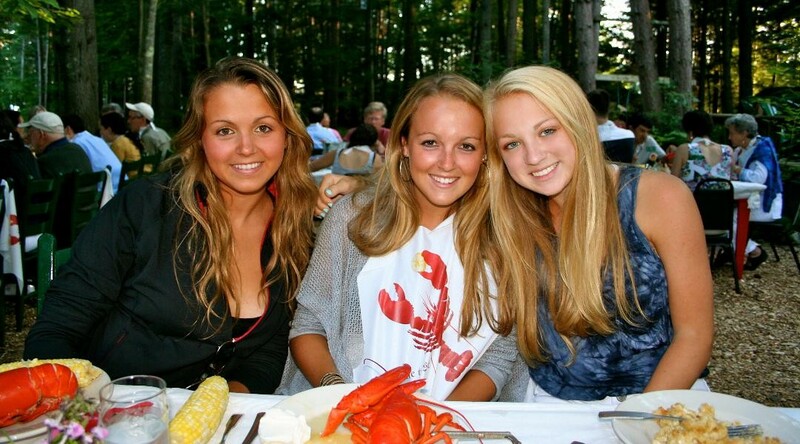 Check out the community newspaper Summertime in the Belgrades for local happenings. 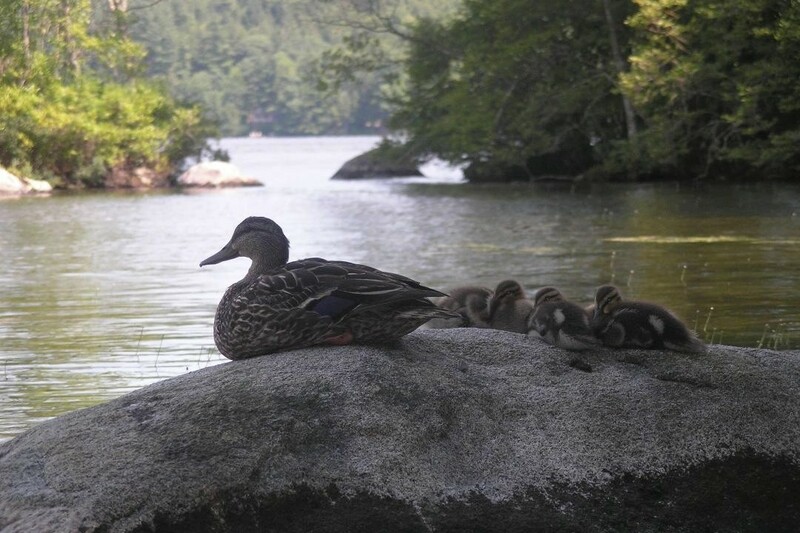 There are several local organizations that are dedicated to the quality and preservation of Maine's lakes, including Great Pond. The BRCA and MLRC have combined forces to create the 7 Lakes Alliance to conserve the lands and waters of the Belgrade Lakes region for all. The Belgrade Lakes Association works to protect the Great Pond and Long Pond watersheds. The Maine Lakes Society administers the LakeSmart program to encourage education and stewardship to keep Maine's lakes healthy. 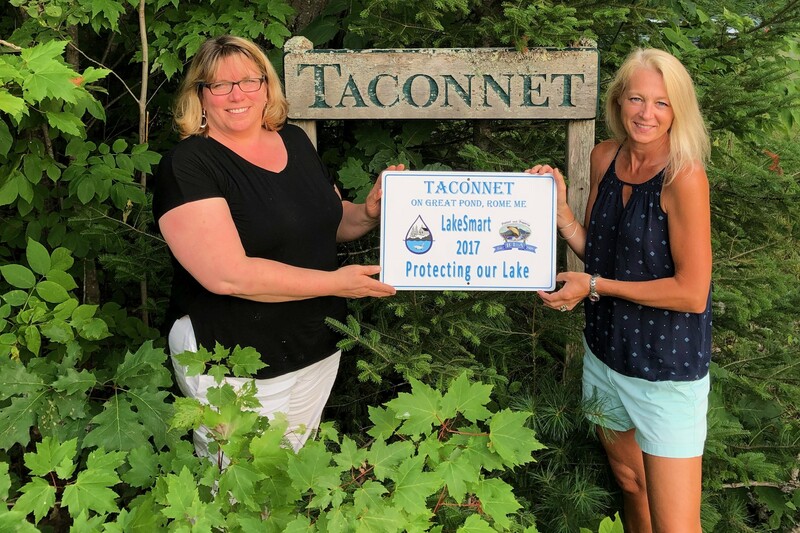 Taconnet recently received a LakeSmart award for its outstanding improvements and implementation of environmental practices on the island. Check out pages 5 and 8 of the MLS newsletter for information about the award.